Ecouterre is a media sponsor of the 2015/16 EcoChic Design Award. One man's trash is another man's couture. Don't believe us? Take a gander at the latest round of finalists for the EcoChic Design Award, an annual prize that showcases emerging talent that can give discarded and surplus textiles a luxury twist. The brainchild of Redress, a fashion nonprofit based out of Hong Kong, the competition challenges designers from around the world to tackle the growing problem of textile waste. In the following pictures, photographer Tim Wong, stylist Denise Ho, and model Bonnie Chen highlight some of the looks that will be duking it out for the winner's crown—plus a once-in-a-lifetime chance to collaborate with Shanghai Tang—at Hong Kong Fashion Week in January. Sara Kiani from the United Kingdom created this dress and pleated jacket from secondhand hotel linens. Also from the U.K., Annie Mackinnon produced a pleated top and trousers using secondhand bedding and end-of-roll textiles. Germany’s Amy Ward crafted her pom-pom playsuit from discarded yarns and secondhand garments. Wang Di, a student at the Beijing Institute of Fashion Technology, made a wing-tipped top and trousers, from discarded textiles. 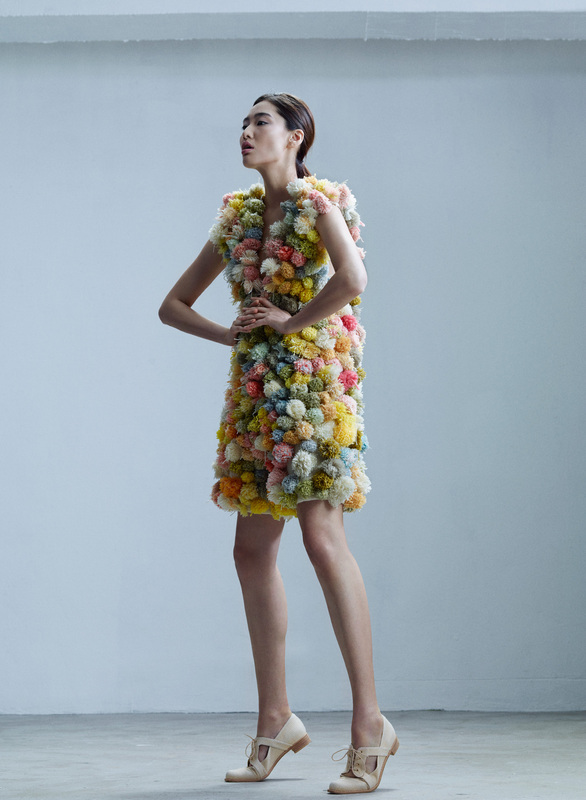 Hong Kong’s Tsang Fan Yu, who is informed by Zen philosophy, created a tasseled dress from end-of-roll fabrics. 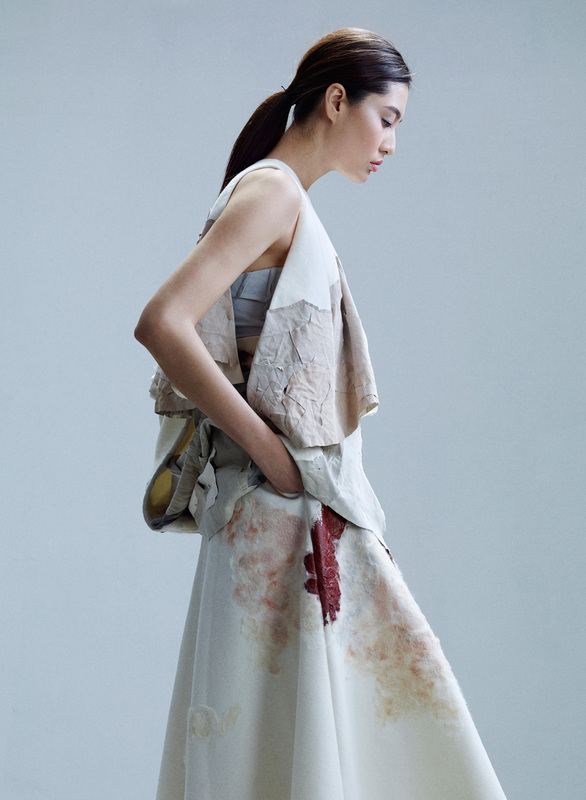 Pan Wen from Mainland China whipped up a top and skirt with felt details derived from wool and leather scraps. Esther Lui, who hails from Hong Kong, transformed discarded clothing labels and other industry surplus into a woven dress and jacket. 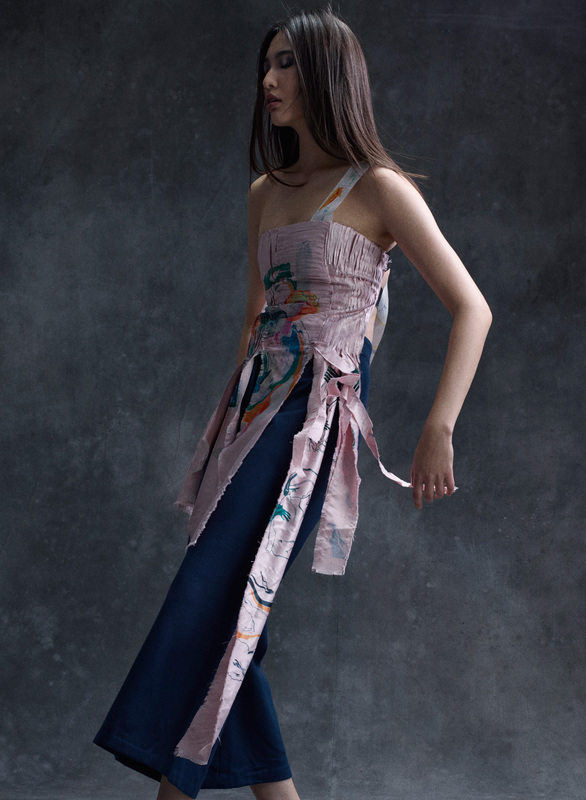 Thailand’s Belle Benyasarn created this ruffled jumpsuit, which comprises cut-and-sew waste. Cora Bellotto, a designer from Spain, produced a color-block tunic and dress from industry surplus, vintage towels, and secondhand bedsheets. Patrycja Guzik of Poland reconstructed her tufted jacket and trousers using secondhand garments and damaged textiles. "I became deeply shocked at having followed the big environmental and social issues caused by the fashion industry," Kiani said. "But I realized that I can turn my career around for something better. I want to be proud of my job, not ashamed. I want to be a part of changing the future of fashion." "I am against the stigma that sustainable garments need to be plain, practical or simple," she said. "To me, sustainable design means making informed choices and developing more environmentally-friendly means to express creativity, minimizing waste, and increasing recycling." Germany's Amy Ward crafted her pom-pom playsuit from discarded yarns and secondhand garments. "I want to make sustainable fashion accessible to everyone. I want it to be fun and engaging and not critical," Ward said. "I want to be part of the new revolution of designers who rethink the process of fashion design and who have a genuine and positive impact." "Growing up and working in our hugely waste-generating fashion industry has made me develop a habit of utilization ever since I was young," she said. "So now, designing sustainable fashion and facing these waste challenges not only feels like the right thing to do, but it has also boosted my design sensitivities even further." 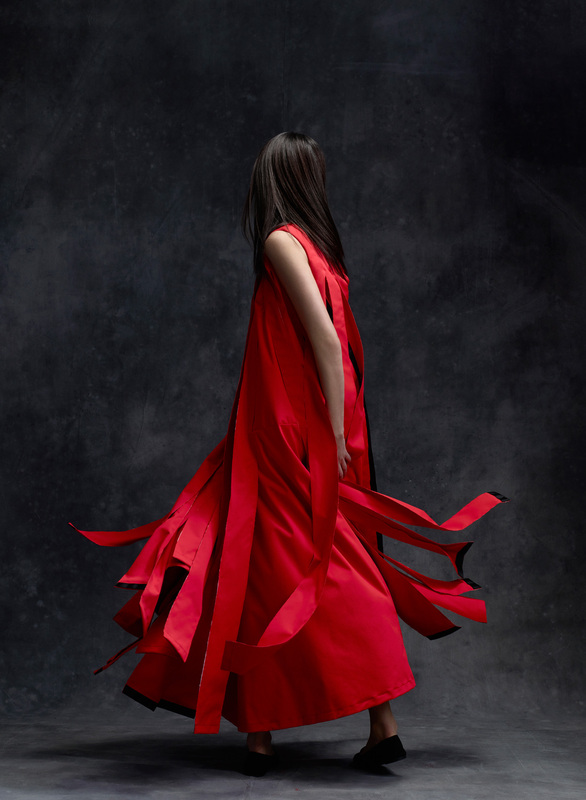 Hong Kong's Tsang Fan Yu, who is informed by Zen philosophy, created a tasseled dress from end-of-roll fabrics. "I love nature and it pains me to see people endlessly emitting industrial waste for the pursuit of superficial vanity and harming animals and plants in the process," Pan said. "I have always felt that there must be ways to balance one’s needs with the burden we put on our Earth. I want to keep exploring this balance through sustainable fashion design, a field which I am passionate about, and spark a deeper reflection through my work." 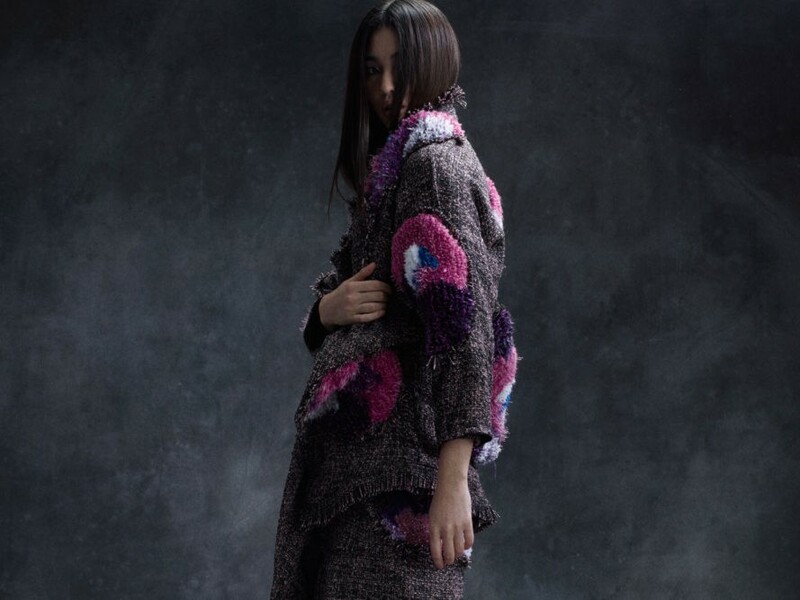 "As a designer witnessing our earth’s resources diminishing and the increasing amount of textile waste discarded day by day, I’ve become very motivated to utilize every piece of textile waste into my creations," Lui said. "It gives me a great sense of satisfaction to give a new life to previously discarded textiles." 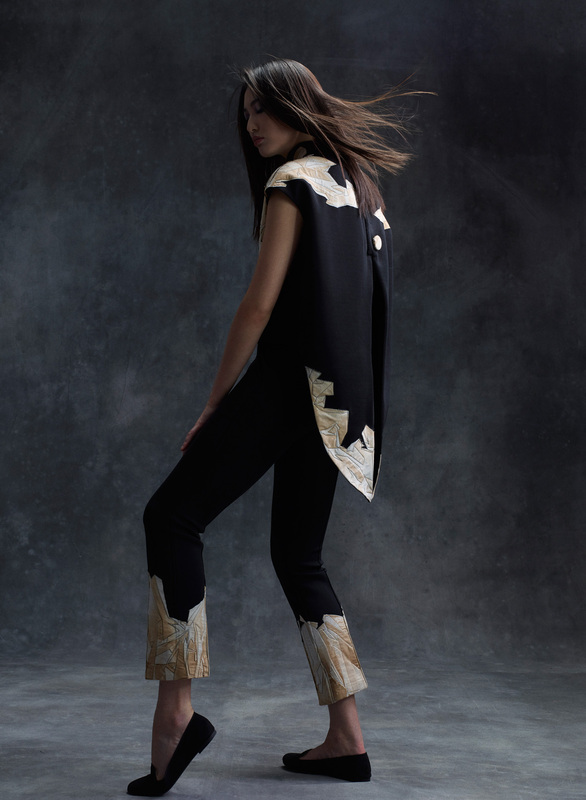 Thailand's Belle Benyasarn created this ruffled jumpsuit, which comprises cut-and-sew waste. "To me sustainable fashion is about the social and environmental standards in the fashion industry," she said. As a designer I believe it is my responsibility to understand the long-term effects of the products I make." "As a designer, I feel some kind of responsibility for what I do," Bellotto said. "It’s like I am designing my ideal future world. I love it when the creativity comes from the constraints of something already in existence or damaged." "To me, sustainable fashion means living in balance," she said. :We need to slow down consumption and stop creating new, new, new. We need to change our thinking around clothes and more designers need to show consumers that we are able to make beautiful clothes using old clothes and damaged textiles."